Today’s post was written by Hannah Byron. Hannah is a junior Communication Management and Design major from Boston, MA. She holds many leadership positions at Ithaca College, such as leading International Association of Business Communicators as Programming Chair, giving weekly tours of the Roy H. Park School of Communications as a Dean’s Host, and serving as a Dean’s Student Assistant. In her free time, you can find Hannah spending too much money on coffee, singing show tunes, or reminiscing on her semester abroad in London. With the rise in new employee engagement initiatives, work-family concerns are a hot topic of conversation among large and small corporations today. According to a study in the American Sociological Review, “Among U.S. men and women, 70 percent report some interference between work and non-work responsibilities. These conflicts are manifested as time strains, missed work or family activities, and the spillover of stress from work to home or vice versa.” As companies start to advocate for work-family concerns, many organizations have begun to implement more strategies to help with these conflicts. As a communications student, I know that my future career in event planning will not operate in accordance with a traditional Monday through Friday, 9-5 schedule. My research of event planning companies in my home town of Boston revealed that the majority of these businesses do not disclose information on their websites regarding employee benefits or flex offerings, such as telecommuting or flexible work hours. In order to gain a better understanding of an event planner’s schedule, I looked at the job requirements of the Event Producer position at Rafanelli Events, one of the major Boston event companies. Part of the job description states, “Ability to travel (approximately 25%). Able to work overtime, nights and weekends. Works on average 50 hours per week.” These requirements are a testament to the high time commitment that being an event planner entails, which will almost inevitably present strains on my future personal responsibilities. The most recent Gallup State of the American Workplace found that “51% of employees say they would change jobs for one that offers them flexible work time”. This need for workplace benefits and flexibility is apparent among all industries and is what employees today, specifically millennials, expect when entering the workforce and applying for a new position. Therefore, if companies do not offer job positions that are designed so an employee’s role can be performed both at work or at home, then it is likely they will not have high retention rates. Furthermore, flex in terms of schedule and location is not enough. An article in Gallup News warns, “A person may spend 35 hours a week at work, but if that worker has an abrasive manager or is in a highly stressful job or one that is not suited to her natural talents, then those manageable work hours are unlikely to enhance her quality of life.” Well-being is directly related to having a healthy work-family balance. If an individual is not physically and emotionally healthy, then both their productivity in the workplace and energy at home will be hindered by their lack of well-being. Well-being, as Gallup research higlights, is an essential component to one’s ability to function as both a professional employee and a family member. The theme of working long hours is consistent among all of my event-oriented research findings. Entering a career in event management may play a negative role in establishing a happy work-family balance. Through my research, I discovered various event planner blogs and articles that highlight both the pros and cons of pursuing a career in event management. An article in the Houston Chronicle advises, “Don’t expect a nine-to-five schedule. Planners might work substantially more than 40 hours a week leading up to a major event. During an event, hours can run from 5am to midnight. Weekend hours are common as well. Meeting and trade show coordinators often face hours of standing, walking and lifting supplies.” These hours and physical demands take a toll on a person, especially if this is a daily routine. In turn, this type of work demand may inhibit me from having a healthy lifestyle, let alone a healthy work-family balance. After spending the summer interning at an employee engagement platform, I was exposed to the importance of engaging employees to promote healthy workplace culture and employee retention. By working for a company that both internally and externally promoted the benefits of offering work-family programs, I witnessed firsthand the positive impact that these initiatives have on people’s mentality and productivity. From being able to work from home to “bring your pet to work day”, these incentives not only benefit people both in and out of the workplace, but also build teamwork skills and foster meaningful coworker relationships. After researching the employee benefits and flexibility in my future event planning career, I discovered just how few resources and opportunities there are for a healthy work-life balance in this demanding industry. The employee benefits for event planners are nearly invisible and the extent to which organizations are rising to meet that need should be changed to better accommodate event planners. 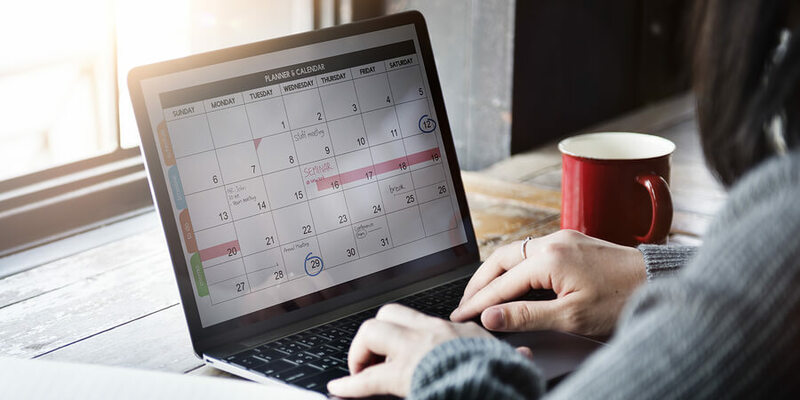 Since event planners have such unique schedules, it is vital for employers to offer more flexible hours during non-peak times prior to events. Since this career does not have time-constraint boundaries, the core problem is rooted in the lack of control and overwork of employees. The event management field is not conducive to generating a healthy work-life balance, but greater access to flexible work options and leaders who ensure their employees take time off from work when necessary are just a few of the small, yet effective changes that could make a world of difference for event planners.